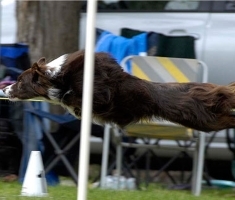 We train at St Ives Showground, Mona Vale Rd St Ives on the Dog Rings. You are welcome to join the club on any New Members intake day which is every second Saturday that we train, between 2:15pm – 2:45pm followed by a one hour Orientation talk commencing at 3 pm. See the calendar for details. There is also a facility to join online. What details do I need to supply ? 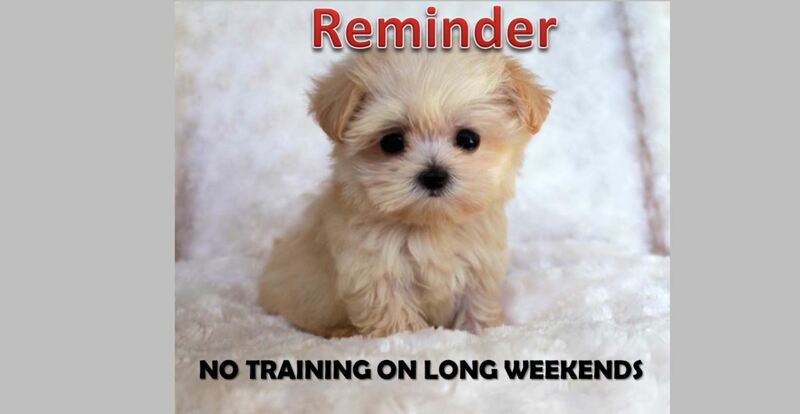 The first week of your Puppy/Dog Training is to be Without Dogs. Please leave your dog at home and attend the class by yourself. 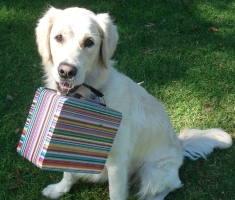 You will need to bring your dog’s current veterinary vaccination certificate. Either the print out from your online application or your completed Membership Application & Dog Profile. (Please print off these pages and complete them prior to your first lesson if you are not joining online. If you are joining online please just print and complete the Dog Profile form and bring that to your first lesson). Your dog must wear a flat collar with identification. 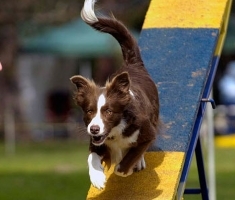 Should you have difficulty controlling your dog on a flat collar your Instructor will advise you on a suitable soft training collar, head halter or training harness, which may be purchased from the club shop. The use of check chains is actively discouraged by this club. A fabric lead approx 750mm – 1.2m long. (NO extenda leads please). Suitable casual clothes. Sensible shoes – no high heels, scuffs, sandals, thongs or bare feet. Tasty, soft food treats for rewards e.g. cheese, cooked sausage, chicken – cut into tiny pieces. A ‘treat pouch’, available at the club shop, will prevent your pocket becoming unpleasant! Food in a plastic bag is not recommended as it is too hard to get food out of it quickly. Plastic ‘pick up poo’ bag(s). All the patience in the world. At what age can my puppy start? The earliest puppies are able to join the club would be 14 weeks of age. They must have had a C3 vaccination (distemper, hepatitis, parvovirus) administered at or after 12 weeks of age. The club then requires a delay of two weeks after vaccination before they can join classes. The NSDTC Inc Vaccination Policy can be viewed here. Are there classes for older dogs? 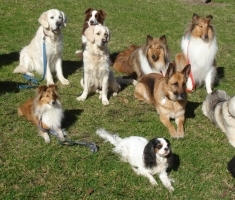 We cater for dogs of all ages providing obedience training from beginners to trialling standard. 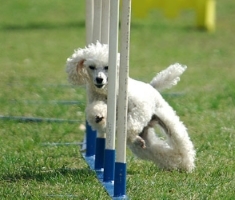 To start agility training, dogs must be 12 months of age or over and have reached 4th Class obedience & must pass an entry test. On what days do you train? 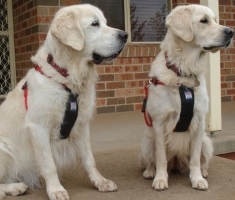 If training more than one dog – $20 per annum extra for second dog. Third or more dogs are free. Annual Renewal of Membership is due 30 June each year. Is training on when it is raining? Yes, but in case of extreme weather, training will be cancelled. Please check the “Training Cancellation” box on the website homepage or our club Facebook page if in doubt . 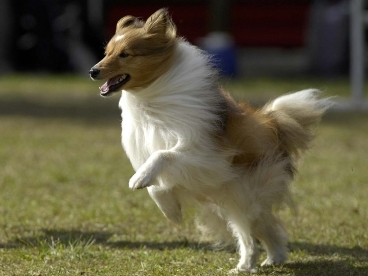 For Obedience classes (Saturday afternoon) a decision will be made by 10am that morning if training is cancelled. No problem, just resume training the following week or when you are able. There is an initial 4 week program for dogs 6 months of age & over and for puppies 6 months of age or under. It is advisable that you plan to attend each week of the 4 week programs or you may miss some important lessons.